ISLAMABAD: The Financial Action Task Force (FATF) on Friday formally placed Pakistan on the grey list due to ‘strategic deficiencies’ in its anti-money laundering and terrorism financing regime. The decision came despite Islamabad showing progress in the majority of areas identified as threat the international terror financing watchdog. 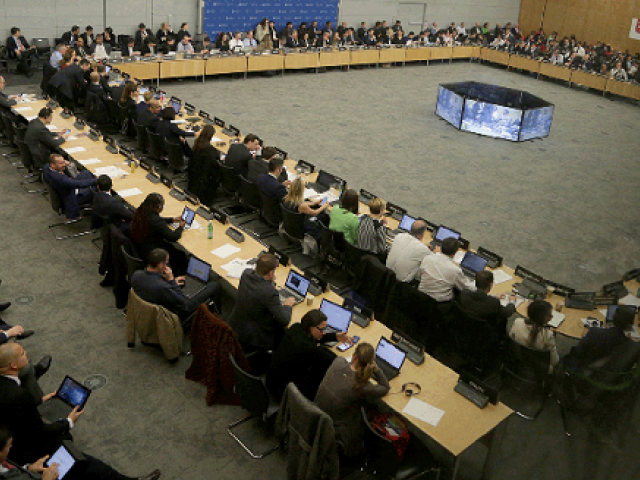 The highly anticipated decision was taken by the FATF Plenary that met in Paris from June 24 to 29. The global body took the decision on the basis of a monitoring report of the International Cooperation Review Group (ICRG). Pakistan has been placed among the jurisdictions (states) with strategic deficiencies Ethiopia, Serbia, Sri Lanka, Syria, Trinidad and Tobago, Tunisia and Yemen. The FATF called on all those jurisdictions to complete implementation of the action plans expeditiously and within the proposed timeframes, vowing to closely monitor the implementation of those action plans. However, the ICRG report showed that Pakistan did show progress on three out of four major areas of concerns. Cross-border smuggling of cash was the only major area where Pakistan admitted deficiencies. Finance Minister Dr Shamshad Akhtar represented Pakistan at the meeting. Pakistani authorities refuted the allegation of lax supervision of the financial sector, terming it unjustified. The FATF and the ICRG were informed that Pakistan had already asked banks to drop the ‘good guy’ list. “Pakistan made a high-level political commitment to work with the FATF and APG to strengthen its AML/CFT regime and to address its strategic counter-terrorist financing-related deficiencies,” according to the announcement. The statement added that Pakistan will work to implement its action plan to accomplish these objectives by demonstrating that terrorism financing risks are properly identified, assessed, and that supervision is applied on a risk-sensitive basis. The FATF said Pakistan will also be demonstrating that remedial actions and sanctions are applied in cases of AML/CFT violations, and that these actions have an effect on AML/CFT compliance by financial institutions. The country will also demonstrate that authorities are identifying cash couriers and enforcing controls on illicit movement of currency and understanding the risk of cash couriers being used for terrorism financing. Also, Pakistan will improve inter-agency coordination between provincial and federal authorities to combat terror financing risks. It will demonstrate that law-enforcement agencies (LEAs) are identifying and investigating the widest range of terrorism financing activity and that terrorism financing investigations and prosecutions target designated persons and entities, and persons and entities acting on behalf or at the direction of the designated persons or entities. Pakistan will also demonstrating that terrorism financing prosecutions result in effective, proportionate and dissuasive sanctions and enhancing the capacity and support for prosecutors and the judiciary. It will also demonstrate enforcement against TFS violations. Pakistan will demonstrate that facilities and services owned or controlled by designated persons are deprived of their resources and the usage of the resources. The ICRG report showed that Pakistan has already made some progress in those areas but this was not duly acknowledged. “Pakistan reported that banks in Pakistan are not providing any financial services to designated entities and individuals and are continuously conducting ongoing transaction monitoring for terrorism financing concerns,” according to the ICRG report. Since October 2017, Pakistan has frozen 177 additional accounts in the amount of Rs48.2 million due to indirect linkages and association of customers with the UNSC-listed persons and entities. However, despite noting those improvements, the country has been placed on the grey list and will come out of it only when it will implement the Action Plan. As per the plan approved by the FATF, nine targets have to be met in January next year, about 13 by May 2019 and the remaining in September 2019. The action plan requires Pakistani authorities to proactively cooperate with counterpart bilateral agencies to choke financing to Da’ish, Al Qaida, Jamaat-ud-Dawa, FIF, LeT, JeM, Haqqani Network and persons affiliated with the Taliban. “While Pakistan has the regulatory and legal framework, there is a serious risk of bulk cash smuggling across the borders, including related to the existence and operation of UN-designated individuals and groups,” according to the ICRG report. On the issue of terrorism financing risks, Pakistan reported that during the investigation of terrorism cases, law-enforcement agencies identify the role of financiers, abettors and facilitators in terrorist acts. During the last three years LEAs have registered 150 cases relating to terrorism financing offences, abetment and facilitation, according to the report. But the ICRG argued in its report that “Pakistan did not demonstrate that the financing element was pursued consistently and the difference between terrorism and terrorism financing cases in the provinces raised questions”. Out of over 740 terrorism cases in Sindh, there were nine terrorism financing cases. In Khyber-Pakistan, out of over 1,400 terrorism cases, 37 were terrorism financing cases. 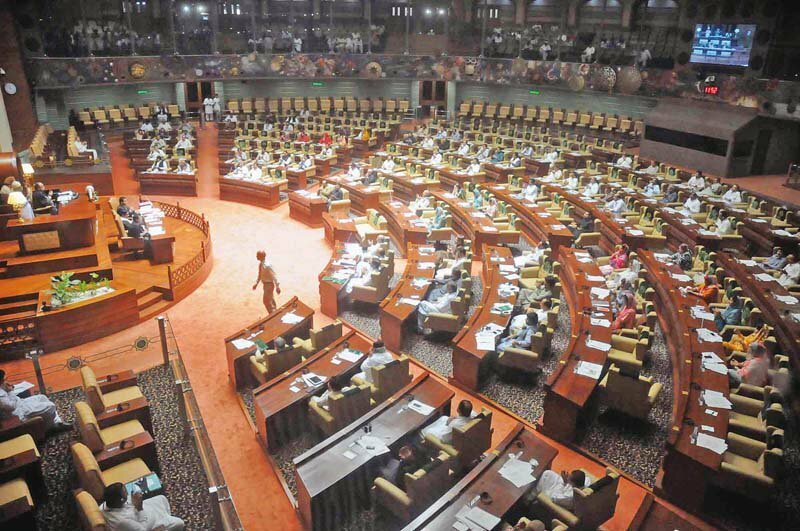 The ICRG showed dissatisfaction over the manner the federal and provincial governments provided statistics about the terrorist incidents and terrorism financing cases. “It is unclear that Pakistan is pursuing terrorism financing proportionate to its risk,” according to the ICRG report. Pakistan has provided information that two of the provinces have 30 terrorism financing case convictions against 41 individuals and the range of penalties issued for 36 out of the convicted individuals. But the ICRG noted that there was no further information on the charges they were convicted of under the Anti-Terrorism Act and which UN terrorist groups were involved. On the issue of actions under the UNSC resolutions, Pakistan reported that on February 10, 2018, moveable and immoveable assets of JuD and FIF as well as the welfare services operated by the two entities were seized. The government of Punjab has frozen 190 assets belonging to JuD and FIF. The educational and other institutions operated by JuD and FIF have been seized and will be controlled and managed by the respective provincial governments. Pakistan has appointed administrators for overseeing the operations of the institutions seized by it. Pakistan reported that the SBP has advised banks to screen their relationships on a regular basis. A few of the inspected banks maintaining the ‘good guy list’ were advised not to maintain any such list. The FATF was informed that Pakistan was also currently undertaking thematic review of stock market brokers after a few incidences of non-compliance were noticed. Non-bank financial institutions have been advised not to maintain business relations in cases where Know Your Customer (KYC) requirements are not met. However, Pakistan admitted that illegal money remitters, known as money/value transfer services (MVTS), were a significant threat to money laundering and terrorism financing. The SBP has developed a legal and regulatory framework to counter the MVTS threat, but it has not been implemented yet. Illegal money remitters were largely operating in Peshawar and Karachi. Pakistan informed the FATF that since January, the FIA registered 1,038 cases of illegal MVTS operators, of which convictions have been secured in 144 cases while 440 cases are under investigation and 394 cases are at trial stage. Pakistani courts imposed Rs8 million penalties on the 144 illegal money remitters. According to the ICRG’s view, Pakistan has not demonstrated that it has an understanding of how many illegal money remitters exist in Pakistan and how many are operating in each region, including higher risk regions where the Haqqani Network and the Taliban are active. Pakistan admitted that it is impossible to determine the exact number of illegal MVTS operators but it would continue to explore various options to dissuade and prosecute such elements in the system. Based on intelligence reports and a survey, the SBP is aware of high-risk areas/regions where the use of unauthorised MVTS is comparatively higher. Approximately, 430 individuals and entities are suspected to be conducting unauthorised foreign exchange transactions and their details were shared with the FIA.